NB: Palm Sunday Masses will be about 15 minutes longer due to distribution of palms and Passion reading. All are welcome to join us for our Passion Play 2016 at 3:30pm. Stay for songs and refreshments afterwards. “The Mercy of God is revealed in the face of Our Lord Jesus Christ,” said Pope Francis in his presentation of the Year of Mercy. “For a child is born to us, a son is given to us; upon his shoulder dominion rests. They name him Wonder-Counsellor, Mighty-God, Eternal-Father, Prince of Peace.” (Is 9:5) It is a child in a manger that comes to us to proclaim the Good News of the Love and Mercy of God! To proclaim our salvation! I also make mine these words of our Patriarch Fouad Towal: “The Church and the community of believers also have to respond to the world’s current situation.” This response is the Jubilee of Mercy, inaugurated on December 8 by Pope Francis. “Mercy is the remedy for the ills of our time,” said our Patriarch. Mercy is for each one of us, to better know God our Father and to love him more. It is through mercy that we make visible to the world the tenderness and closeness of God. Dear friends, the birth of Christ is a sign of the Mercy of the Father and a promise of joy to us all. His message shines upon our wounded world, to console the afflicted, the oppressed, and to bring about conversion to hearts, especially those full of anger and hatred. Together with Fr. Jim and Fr. Fernando, I would like to wish you all a very blessed, peaceful and joyful Christmas. 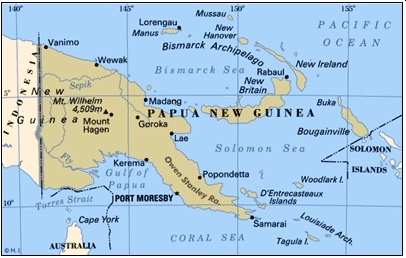 Papua New Guinea is not a region about which we often think. It comprises the Eastern part of the Papua Island and it belongs to the British Commonwealth. The Western part belongs to Indonesia. At a distance of about 40 km from the Indonesian border there is the small outpost of Vanimo with its 11,000 inhabitants. They make a living from the timber trade, fishing and subsistence agriculture; from October to April there is some tourism because of its famous surfing waves. There is, however, more than what the eye can meet; there is something like a stream that swells like a river and gives life and hope: the Mission of the Institute of the Incarnate Word. There, since 1997, the Mission numbers three priests, i.e. the parish priest and two assistant priests. It has started two elementary schools with approximately 400 pupils and a Mayor Diocesan Seminary. The current Parish Priest, Fr. Tomas Ravaioli, after the labours and work of three years is being posted elsewhere and he will be replaced, as of mid-September 2015, by our dear Fr. Miguel de la Calle; he will take over the responsibility of the parish. His mission will be multi-faceted, as the society of the country is traditional and organized around clans, a system that is protected even by the Constitution! 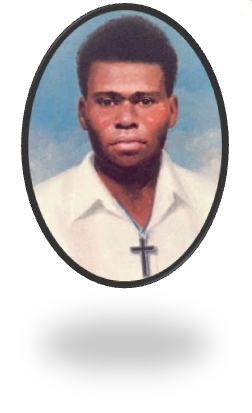 The Christian spirit and heroism, though, are not totally foreign to exotic New Guinea: in 1995 Saint Pope John-Paul II beatified Blessed Peter To Rot (1912-1945), who resisted the acceptance of polygamy the Japanese attempted to establish on the Island during World War II. He was martyred defending the Catholic Faith in 1945. Fr. Miguel de la Calle will be, in December, priest for seven years since his ordination. He studied in Italy and in Athens (Greece), at the Institute of the Incarnate Word, Biblical studies, Greek and Hebrew. He arrived at our parish in Paphos in November 2011 as assistant priest to our parish priest Fr. Carlos Ferrero. Serving our parish was his first mission after completion of his studies. In his own words: “The time I have spent in Cyprus, in Paphos, has been a beautiful experience. I learnt a lot from Fr. Carlos and from my direct contacts with the parishioners and the people of Cyprus”. Fr. 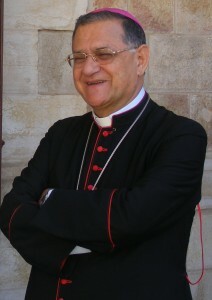 Miguel has been kept busy, on top of his Liturgical duties in the Paphos Parish, with many and varied activities; he organized school-aged children for catechism, games and excursions, directed lessons in Holy Scriptures for adults, helped in the work of Caritas and arranged pilgrimages to holy places all over Cyprus. He will be replaced by Fr. Fernando Flores, who has been ordained into the priesthood last June. As a deacon he served and helped well at the Minor Seminary of the Institute of the Incarnate Word in Minnesota, in the United States. He loves theatre; he has participated in a theatrical team at the Mayor Seminary. As well he loves music; he even played in the Minor Seminary Orchestra. He is of good natural and approachable. He is ready to begin his first mission as a priest, becoming assistant priest in our Paphos Parish. On SUNDAY 6th SEPTEMBER at the Latin Hall at 1.30 p.m. (during the Monthly Parish Lunch, suggested donation €10) we will meet and welcome him; at the same time we shall bid farewell to Fr. Miguel, wishing them both the very best. A big “thank you” is due to Fr. Miguel for his presence and work amongst us. He shall be very much missed; we know, however, the Lord keeps us all united despite the geographical distances– or any other type of distance. Oh, the depth of the riches of the wisdom and knowledge of God! For from him and through him and to him are all things. To him be the glory forever! Amen. We welcome our Patriarch Foud Twal and Bishops from the Middle East to Cyprus. They will be visiting Paphos on Friday. The Patriarch will be conferring the Sacrament of Confirmation this Sunday in Nicosia and we pray for those from our parish who are being confirmed.